377 Windflower Road, outstanding value, possession ready. Welcome to The Sienna, a custom-built, accessible bungalow by A&S Homes. This 1,281 sq. ft. open concept home is filled with designer upgrades and modern finishings. Step into the spacious combination living/dining area to find 9’ high painted ceilings, oversized windows, an entertainment wall with gas fireplace and oak accents, laminate flooring and pot lights. The spacious L-shaped kitchen features a step-in pantry, 8′ long work island with seating suited for entertaining, quartz countertops, undermount sink and 40″ tall upper cabinets. 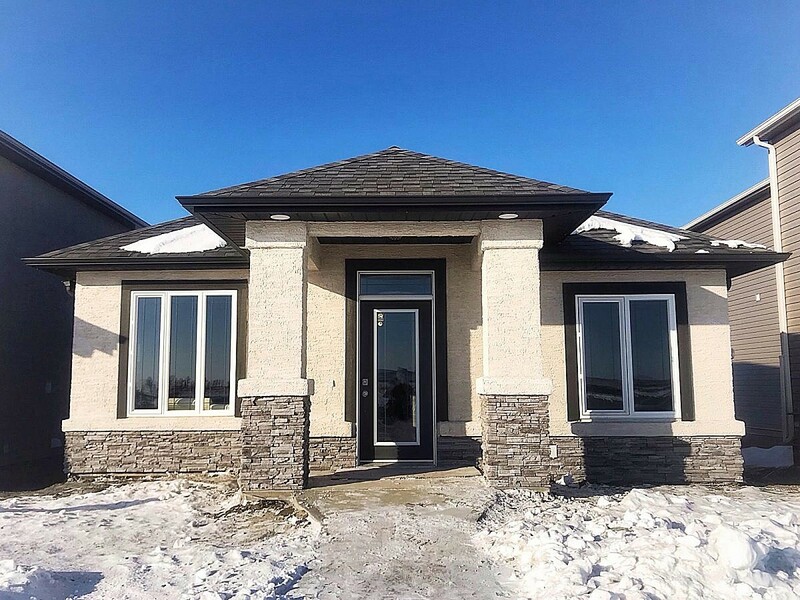 This home has a beautiful large master bedroom with walk-in-closet, deluxe ensuite with quartz, upgraded cabinetry and step-in shower with glass doors. Huge, 8′ high basement ready for development, built on piles. Call now while this home is still available! Square Footage: 1,281 sq. ft.
Visit The Sienna Quick Possession!